"seaPro Lite is a thoroughly well designed and practical package which does all the chart work most of us will ever need"
Philip Corridan, Practical Boat Owner. 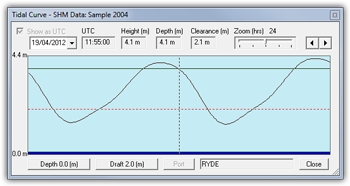 Electronic chart plotting has never been more affordable or simpler than with seaPro Lite+. This easy-to-use system combines high quality charts with practical navigation functionality. 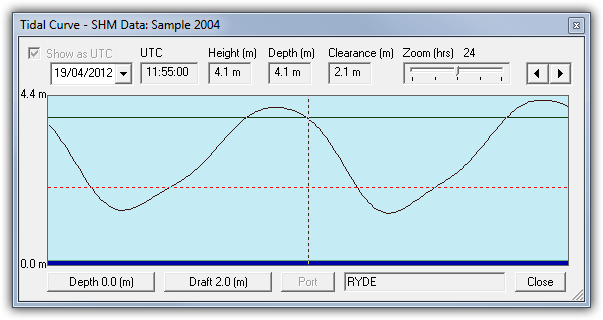 seaPro Lite+ is designed for those who wish to get to grips with PC based chart plotters without the initial expense of a fully featured system, or feel that the amount of sailing they do does not justify a more costly solution. 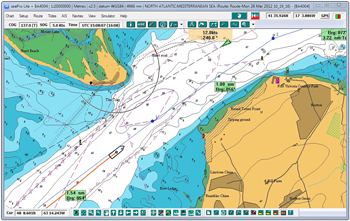 Choose from a full range of Livechart packs or add the Navionics module to use your own Navionics Gold & Platinum cards simultaneously with your plotter. Simple set up - just connect your GPS to the serial port of your computer to see your vessels position on the chart. Livecharts are mainly derived directly from S57 data provided from the Hydrographic offices - so no problems of manual digitization from paper charts..
including S57, both encrypted (AVCS, Primar, Australian HO) and unencrypted cells, raster formats such as BSB/BSB4. Seamless changes between the different formats - allow seaPro lite+ to automatically choose the best scaled..
AIS - when connected to an AIS receiver or AIS transponder (class A or B) see information on other AIS equipped vessels (General AIS information). NAVTEX support for the dual frequency NAVTEX receiver gives free Marine weather forecasts and other information. Tidal Curves - view the tidal heights for most of the major and minor ports in the world (requires purchase of optional tidal database). 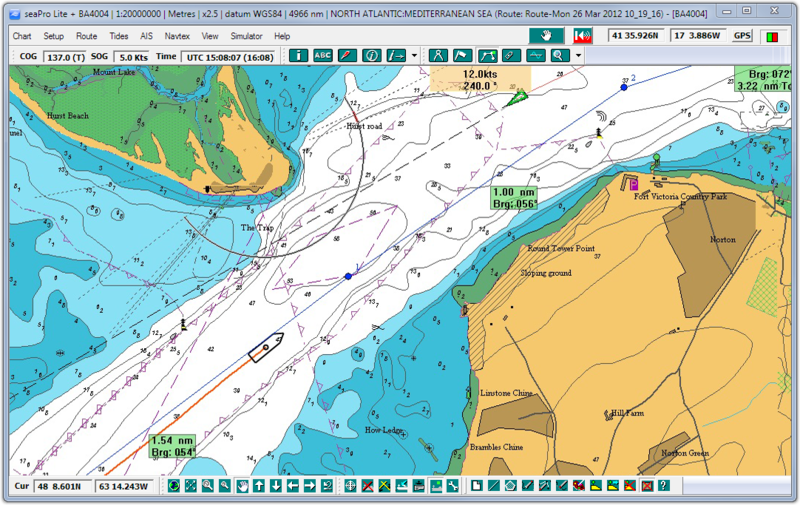 Overlay - add your own marks, text, lines,areas for favorite fishing,anchoring or diving sites etc. Dockable Toolbars - Place your toolbars where you need them, either on the chart or neatly stowed at the top or bottom of the screen. Interfacing - Support for multiple serial ports or GPS/AIS data via a wired/wireless ethernet connection (TCP/IP).